Conceived as a network of preinstalled steel ropes each one of them work as “stations” –refuges- one journey distant from each other. Ropes are anchored to nearby tree trunks at both sides of the river. Tents are hanged and raised for sleeping or contemplation. 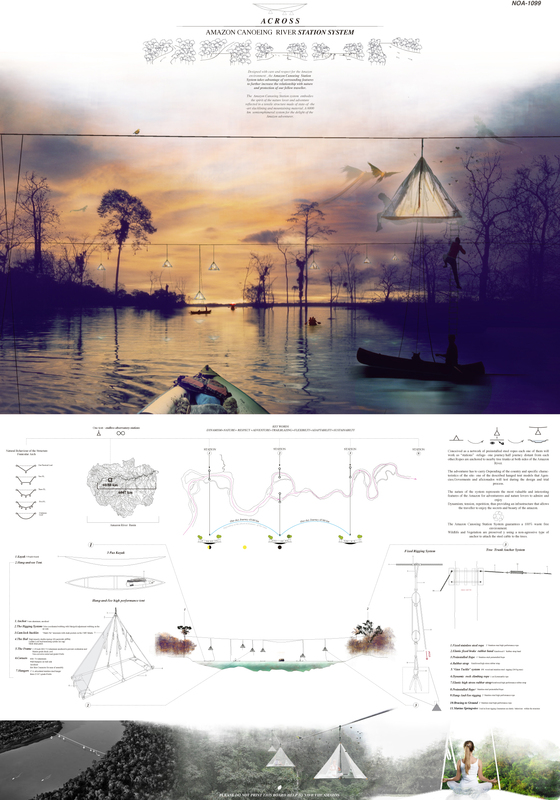 The Hang-And-See Tent, levitating above the river lets the traveller to enjoy the Amazon in a never-experienced-before manner, diminishing the risk of being attacked or bite achieving the best possible views, a unique experience. Amazon is the city found in America and we have to take care of our loved ones in that place. Mostly all the users are having writemypaper4me.org review that is more likely famous as a best system. Muy buen proyecto y diferente. Felicidades. Sin duda mi favorito! Muy merecido el primer premio! Original y diferente. Me gusta! !